My Creative Time: Guest Designer: Liz! Hi Paper Lovers! This is Liz for Liz's Paper Loft and I'm thrilled to pieces to be a Guest Designer for My Creative Time again. Especially since now that we know Emma's son Aaron is on the mend and getting stronger everyday! Go to my blog for the complete recipe! Even though baby Aaron is getting stronger daily, please keep him and the whole family in your prayers! Love the hot air ballon, great, interesting card! I LOVE this! !Beautiful job Liz and thanks for sharing such a fun creation and GREAT tip!!! Very cute card, love the look. I've never used clear myself. 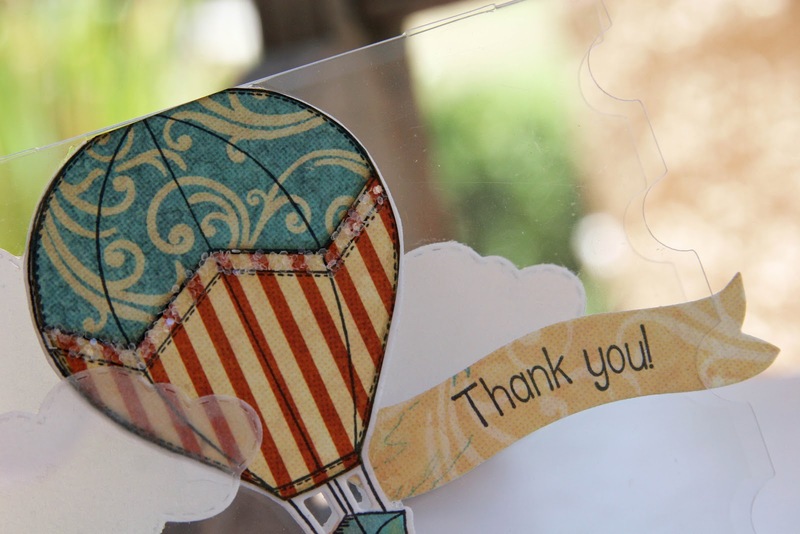 I just love this look of clear cardstock! I will definitely be trying this out!!! Very cute, love the clear card stock. Liz ~ Oh this is just a BEAUTIFUL card! 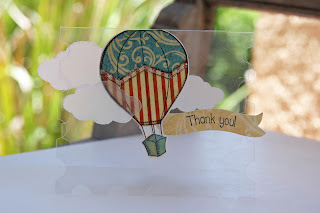 I LOVE the hot air balloon die and those clouds! The paper for the balloon is just PERFECT too! I LVOE the tip!!! I have yet to attempt to cut clear card stock out but I might have to give it a try! AWESOME card and tip! this turned out SO pretty! thanks for the tip! I do forget about that feature! How cool is that?!?!?! LOVE this idea!!! Wow!!! Awesome card!!! Love this idea! 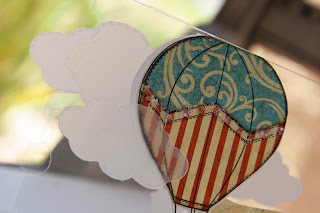 Putting the balloon and clouds on a clear card was a great idea I didn't think of :D It looks wonderful and I love the patriotic balloon colors. What a Great Card. I'm going to have to try using my clear cardstock. Emma & Her Family are continuously in my prayers. Smooches... Felicia. Awesome Card! I didn't even know clear cardstock existed. I'll have to give it a try. Thanks for sharing! Great tip. I bought some clear card stock on clearance on a whim and then haven't known what to do with it. This helps a lot! Thanks for sharing. This is so pretty. Thanks for the lesson. I bought some clear card stock and have never used it. I had no idea why one would need clear card stock. Great idea. Thank you. Hi, I like how you thought out of the box with the clear card. I like how it come out. Thank you for sharing. Liz, What a SUPER neat card! 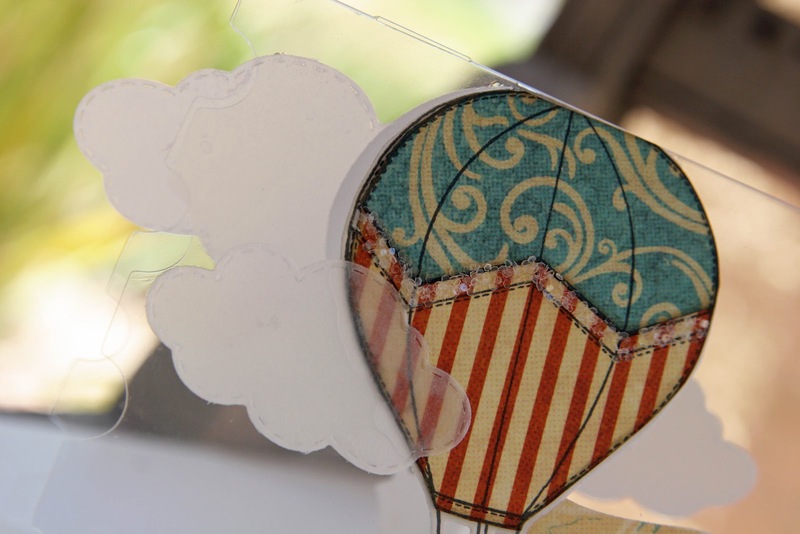 I LOVE that hot air balloon! I just got my set and I'm so tickled, I LOVE it so much! Have a SUPER weekend my friend! 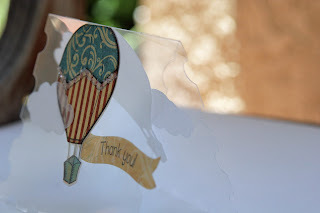 Very interesting card, using the see through card stock - a fun idea. I have to say, for yourself and Emma, please pass along how completely annoying for a 12 year old and very disrespectful it is to refer to him as "baby Aaron". If he can't say this for himself, there is something wrong there. No 12 year old would want this and perpetuating this is verbal abuse of a sort - the same as calling him a cruel name. Being 12 is hard enough - help him with the transition to adolescence by showing him respect. Liz this card is fantastic!!!! So pretty and unique. Where do we find clear card stock? Pretty cool. I love the hotair balloon. 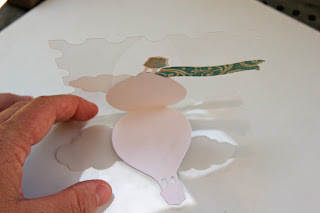 I must try to use acetate much more it has quite a big WOW factor. Thanks for sharing.